Burj Khalifa seen from the landing Emirates Airlines Boeing 777-300ER (LHR - DXB). I would like to take you on a fascinating journey to the Burj Khalifa – the tallest building in the world since 2008. We was landed in Dubai for the first time in early February 2017 during our engagement journey being our first long-haul journey at once. 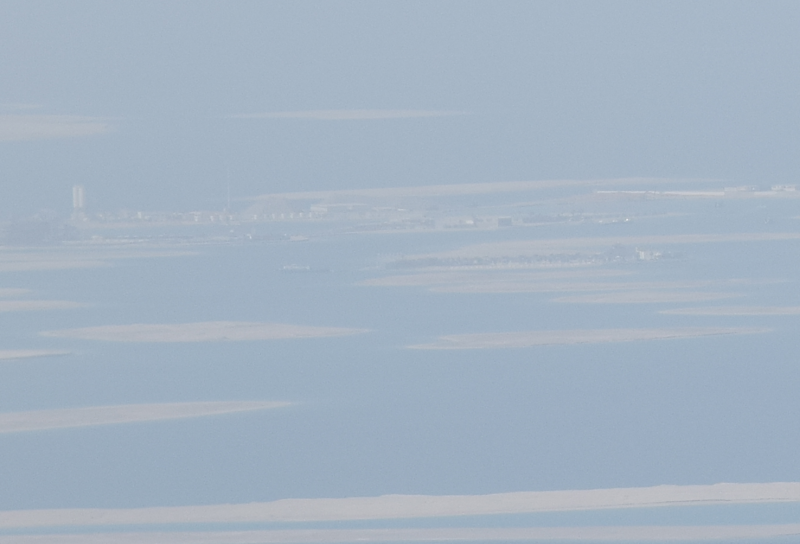 I was awestruck when I saw the Burj Khalifa and whole Dubai from the plane. 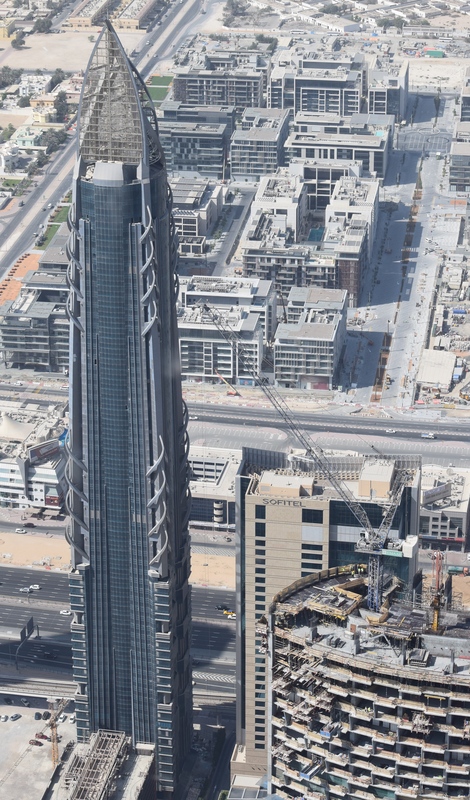 The highest building in the world rises up the Dubai skyline as a vast needle. This is definitely the most prominent building in the whole region. Pic. 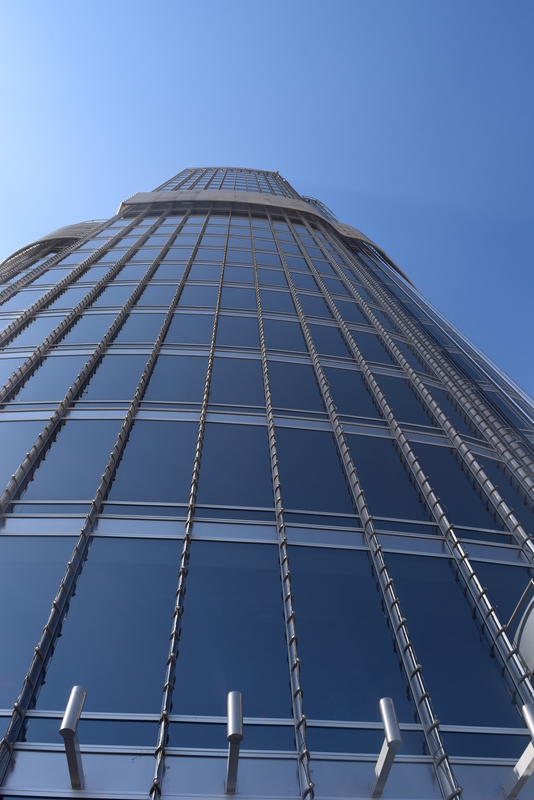 1 Burj Khalifa – the highest skyscraper in the world. 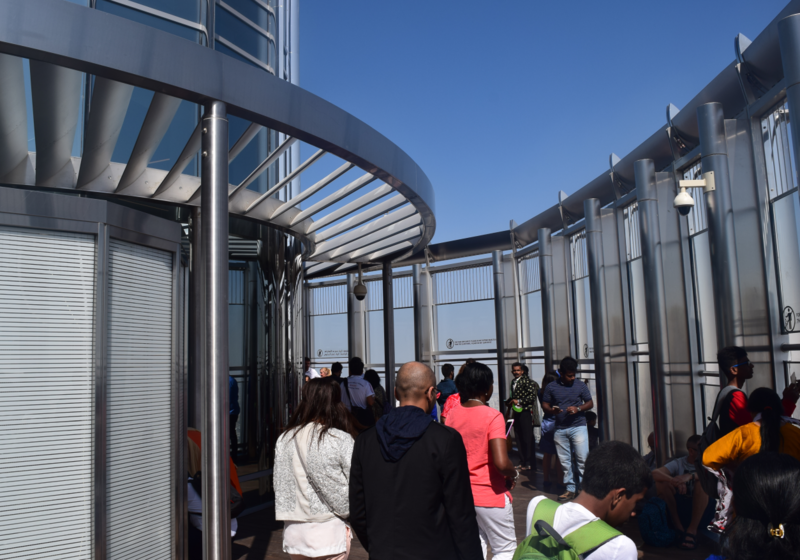 Visiting the Burj Khalifa was the part of Dubai stop over journey, which will be described in the future. Before you decide to visit the highest building in the world from the top you have to book a visit from this website. The prices are varied from 37 USD for level 128 (452 m altitude) to 100 USD for level 148 (584m altitude). We decided to choose cheaper option. To describe in a few words the history of this prodigious building I can say that it is very short. 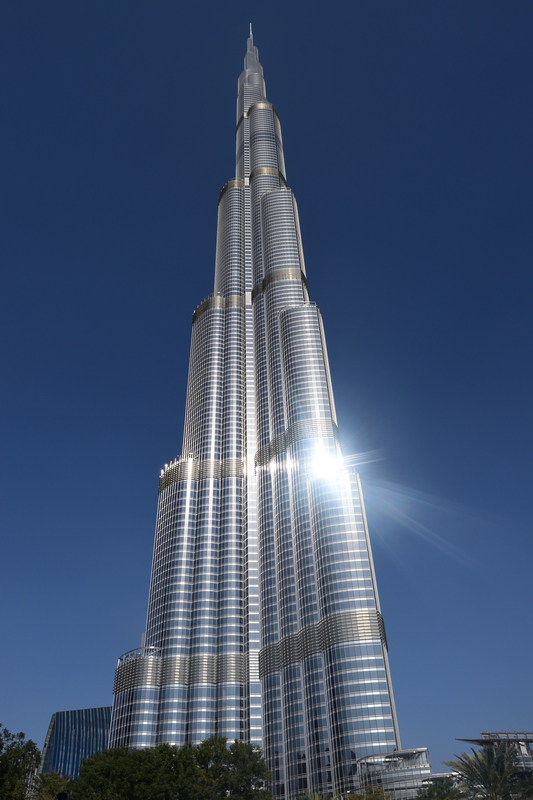 Construction of the Burj Khalifa began in 2004 and finished in 2009. 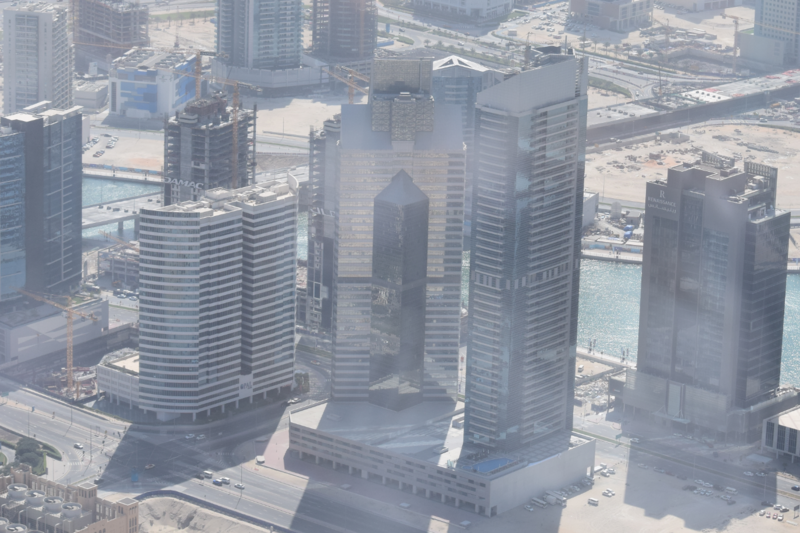 The building was opened in 2010 as part of new development called Downtown Dubai. The Burj Khalifa total height is almost 830 m.
The Burj Khalifa is designated to be a mixed-use development building with residential, commercial, cultural and institutional uses. The design of the Burj Khalifa derives from the Islamic architecture of the region. 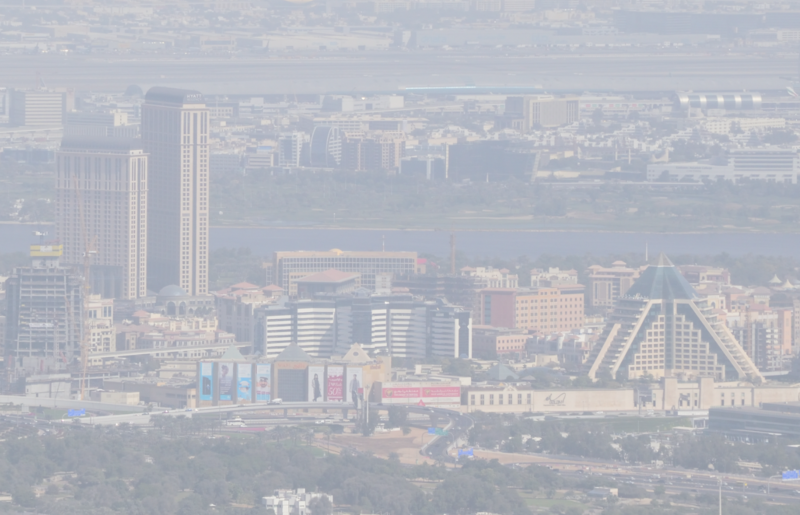 The shape of Burj Khalifa derives partially from the Malwiya Tower, that is a spiralling cone. The Burj Khalifa has been built on the Y-shaped tripartite. This floor geometry is designated to optimize residential and hotel space. A buttressed central core and wings are used to support the height of the building. 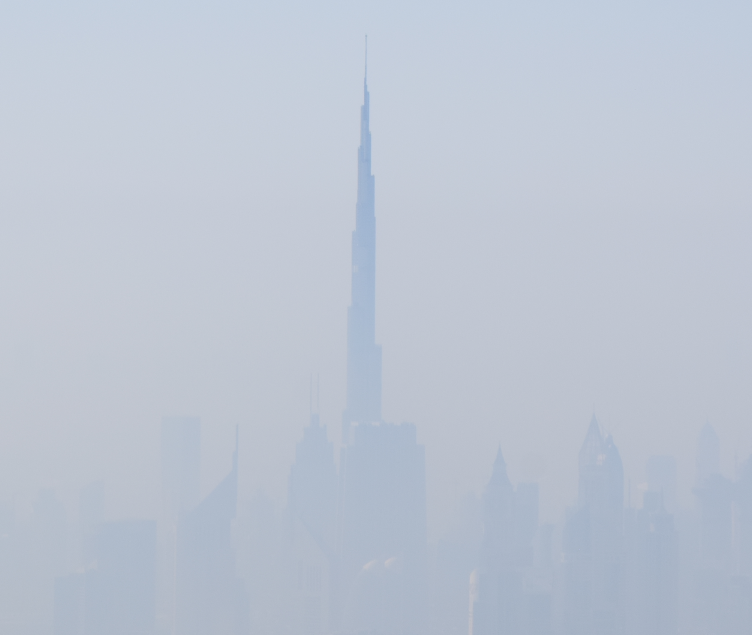 Burj Khalifa central core houses all vertical transportation with the exception of egress stairs within each of the wings (William, Pawlowski 2017). 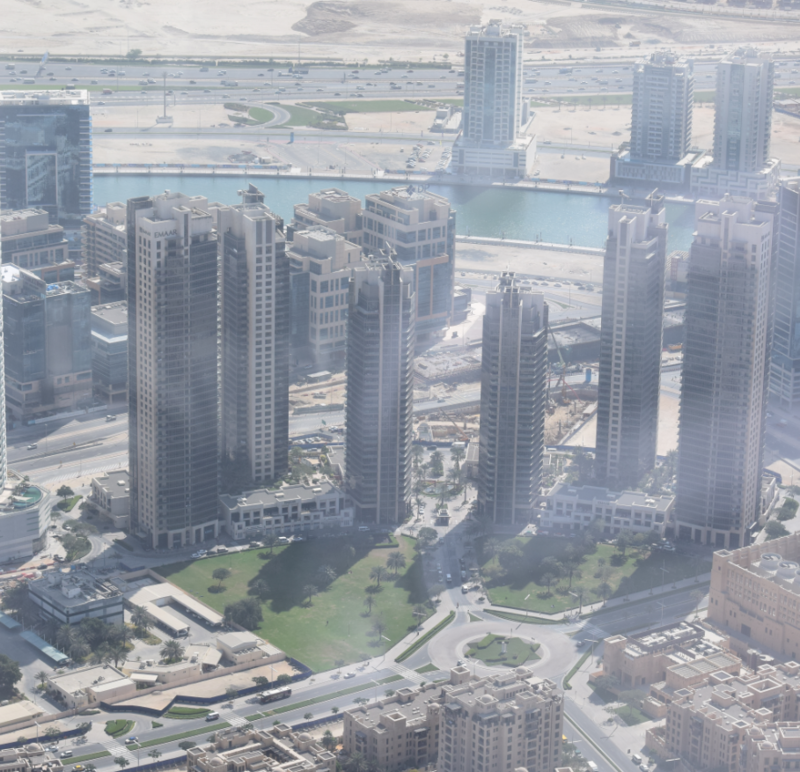 The Burj Khalifa includes 30000 homes, 9 hotels and 3 hectares of parkland. 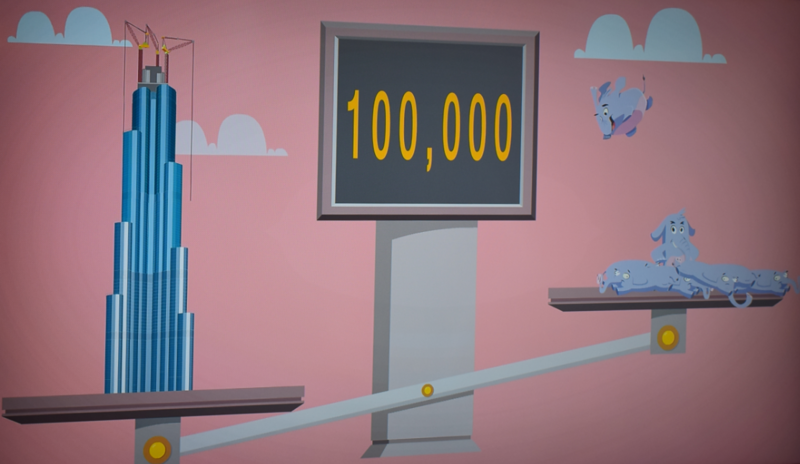 The weight of Burj Khalifa is equal 100000 elephants! Pic. 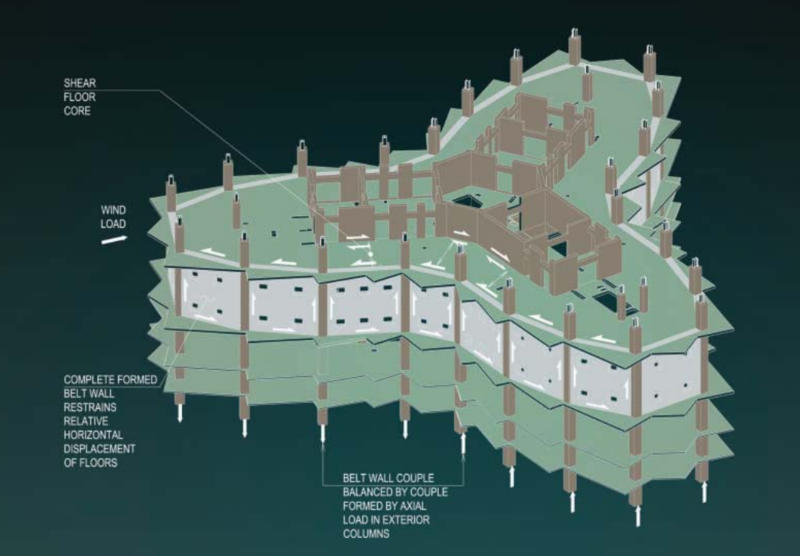 2 The Y-shaped Burj Khalifa construction (Baker, Pawlikowski, 2012). 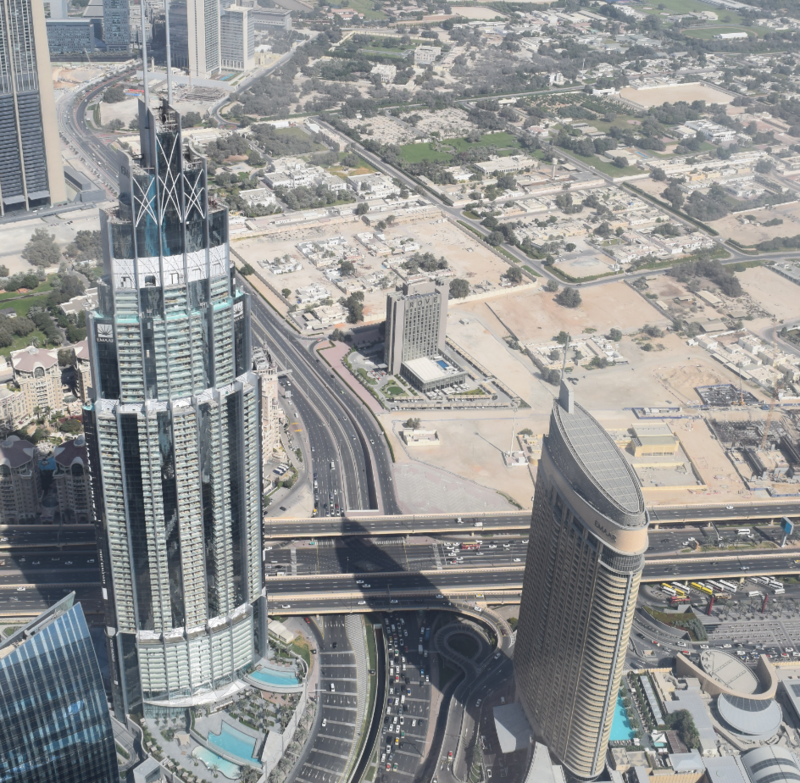 The easiest way to reach the Burj Khalifa from the DXB airport is the metro. You can enter it easy from the airport and go around 10 stops to Burj Khalifa/ Dubai Mall Station. Next you must go to the Dubai Mall, where is the main entrance to the Burj Khalifa. Remember, that Dubai Mall is the biggest mall in the world, so it takes a while to walk around. Follow the signs then to reach the main entrance quickly. We have entered to the Burj Khalifa directly from the Dubai Mall. Our slot was at 12 pm. To be honest I was pretty dissapointed seeing a long queue, that was curved outside to the corridor. 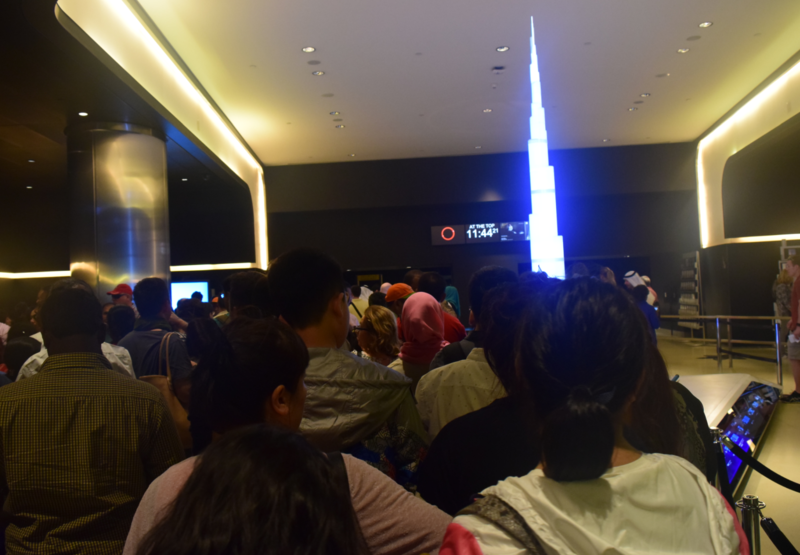 Unfortunately the Burj Khalifa is the place, that likewise to many others around the Globe suffers from terrible tourist traffic. We had to wait nearly 30 minutes to get inside the lift. I think, that the luggage policy extended the queue. Everyone had to lock his own bag and due these crowd it took a lot of time. Pic. 3 A big queue of tourists, having slot at 12:00 pm local time. Pic. 4 In the meantime you can see an animation presenting a progress of rising and a real weight of the World tallest building. Pic. 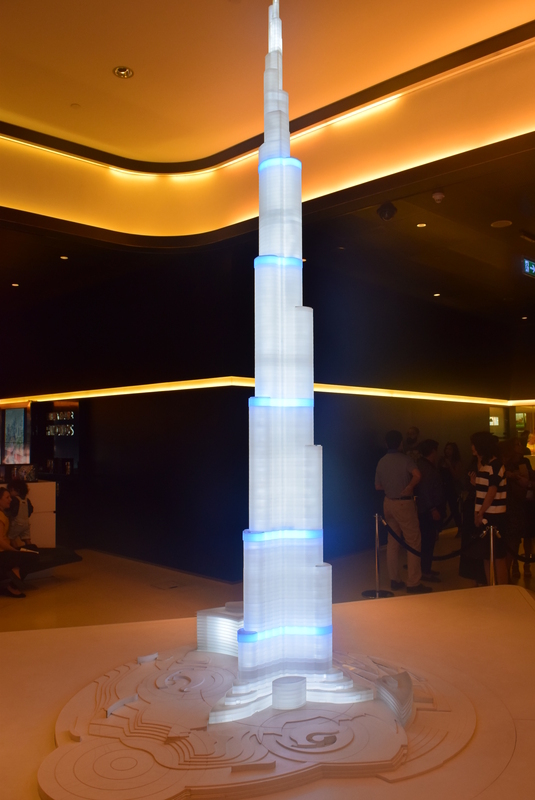 5 A miniature model of Burj Khalifa placed near the entrance to the building. Unlike to que progress the lift in Burj Khalifa is extremely fast, so we reached the top right now. There were a lot of people enjoying the view. I was worried, that our slot will be limited due to high tourist traffic, but fortunately we could spend more time there. Pic. 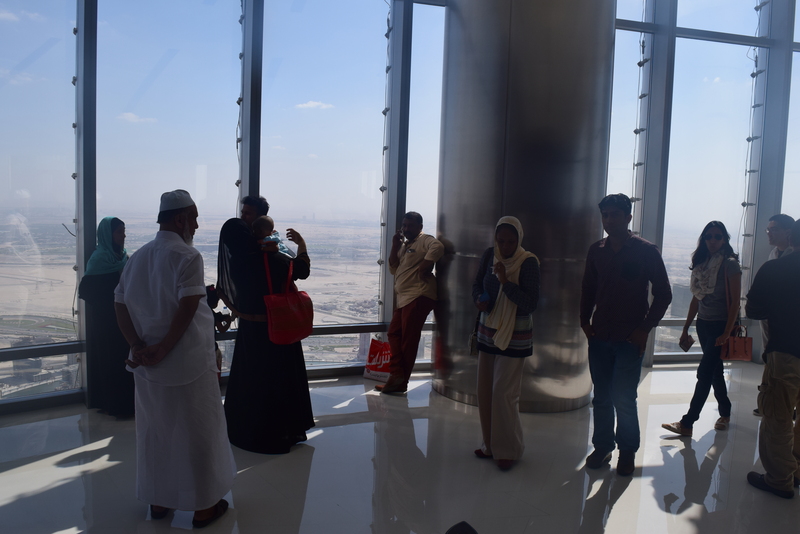 6 At the top deck of the World tallest building. Pic. 7 View on the upper part of the building. I can say that the awesome view from the top rewarded previous waiting in the queue. The observation deck (at least the lower one) is divided by two opposite pieces. 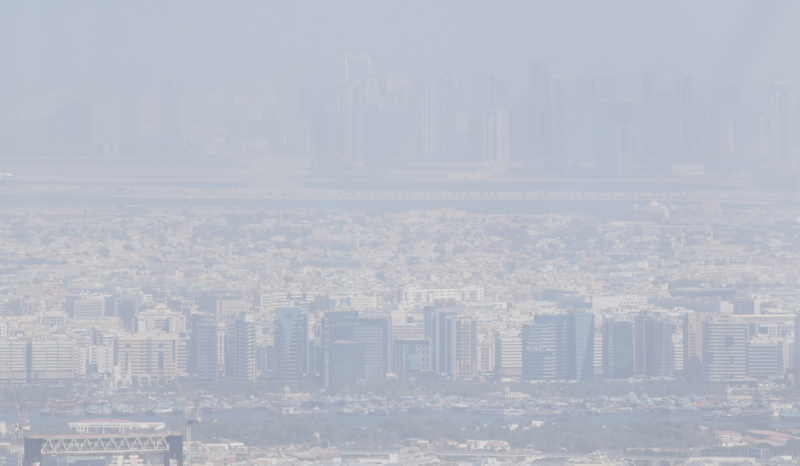 You can see a whole Dubai from there. Pic. 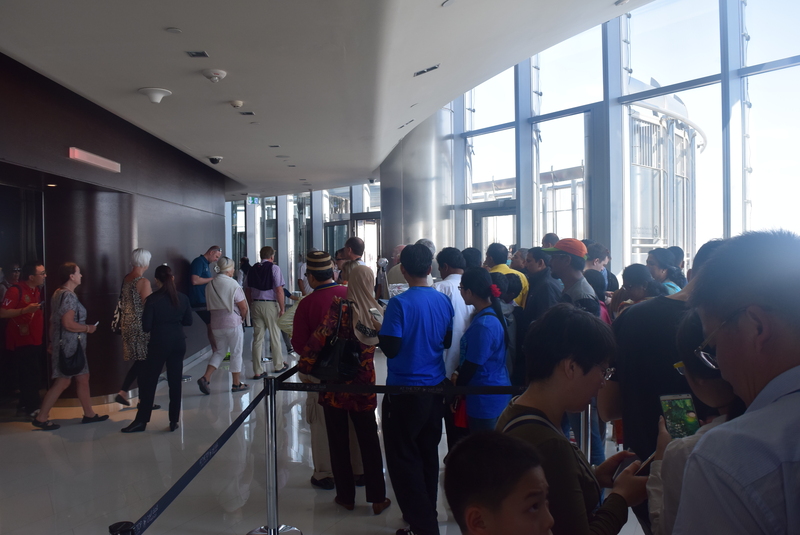 8 – 11 The Burj Khalifa lower observation deck. My goal was to see something more than Dubai. One of the highest observation deck in the world (higher one is the highest) offers you further vistas like Abu Dhabi skyline or even Zagros mountains in Iran (Pic. 12). Pic. 12 A visual range possibilities from the Burj Khalifa lower observation deck (452m) (heywhatsthat.com). 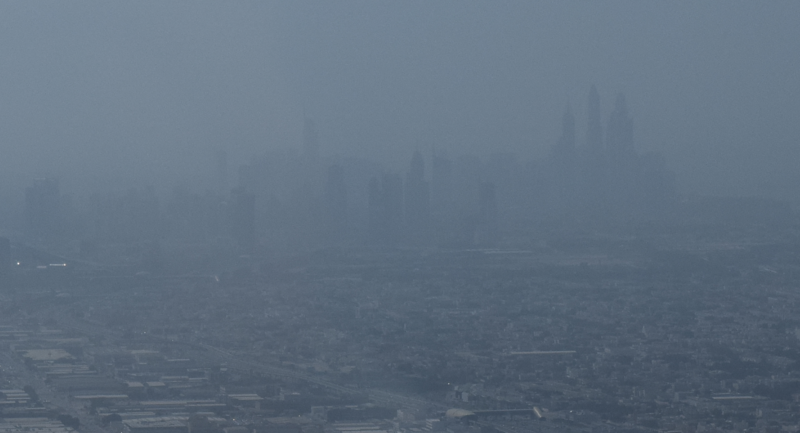 Unfortunately dusty weather verified my plans quickly and I could barely see the Dubai Marina skyscrapers. 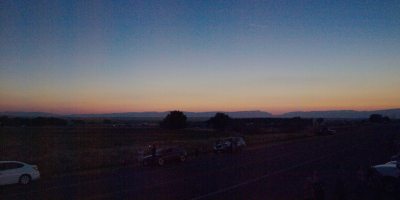 Each object captured from a distance was veiled by dusty air, which washed scene effectively. 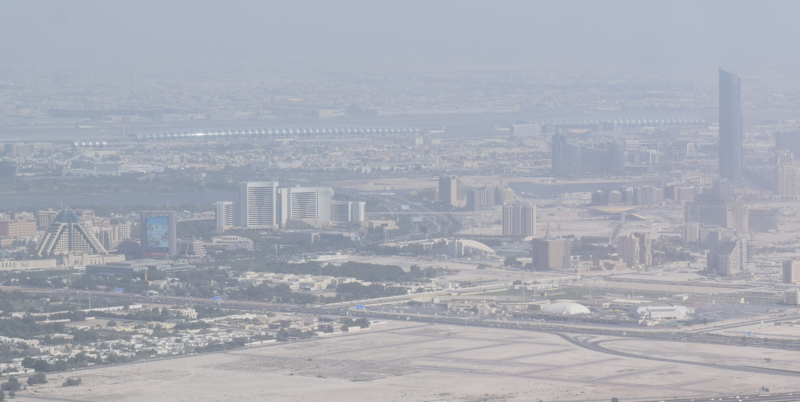 See on the photos below what exactly you can see from Burj Khalifa. Pic. 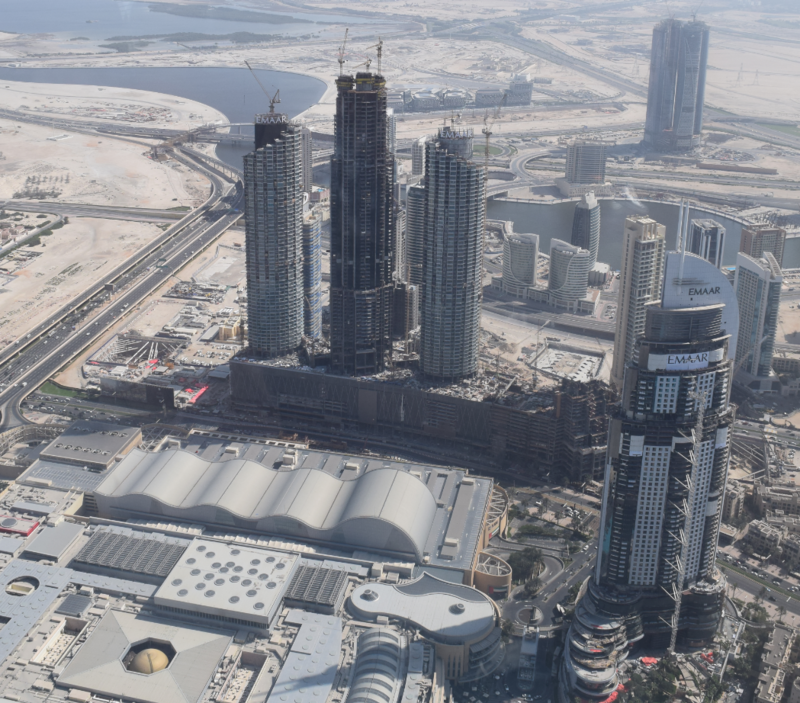 13 View on the Emaar Square and newly-arising Emaar buildings. See an original image here. Pic. 14 The Dubai Mall seen from the Burj Khalifa. See an original image here. Pic. 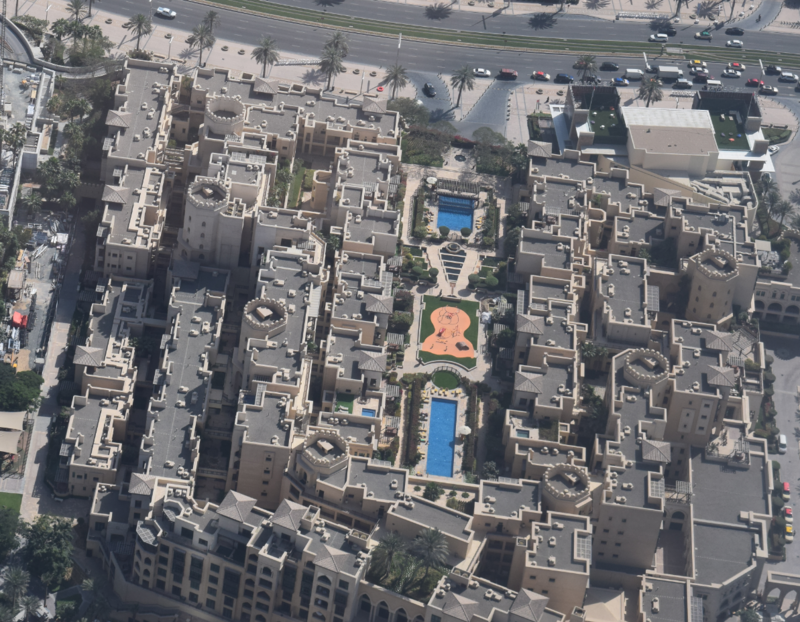 15 Tajer residences seen from Burj Klalifa. See an original image here. Pic. 16 Dubai Trade Centre seen from Burj Khalifa. Click to enlarge. Pic. 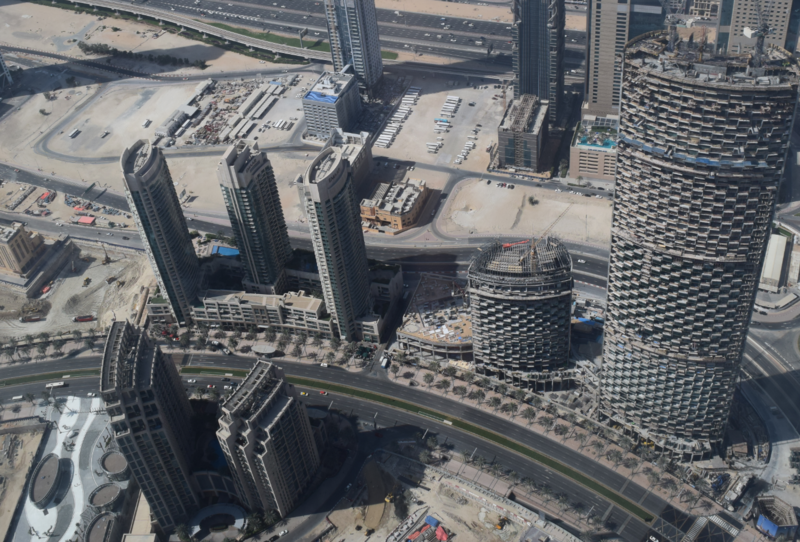 17 The motorway junction between the Eemar financial centre and Dubai Mall, just before the Rove Downtown. See an original image here. Pic. 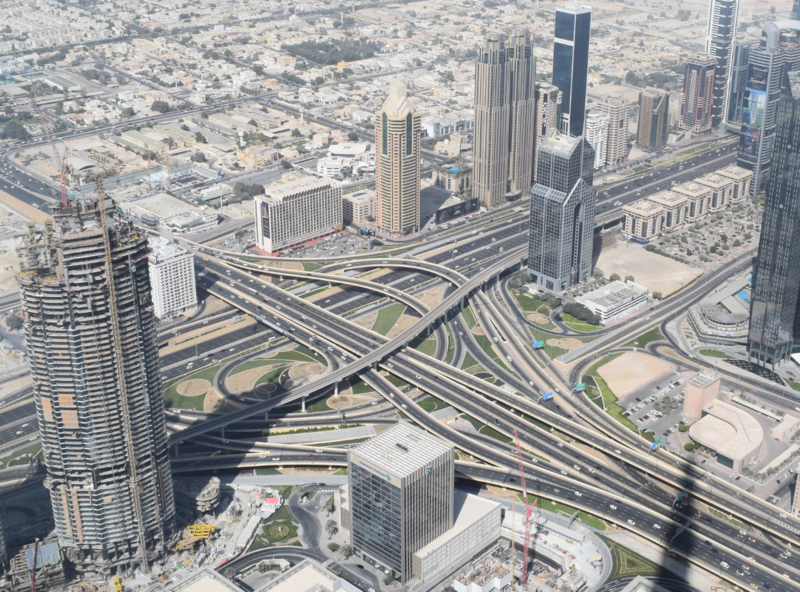 18 The Sheikh Zayed Rd and Al Safa Street junction between Dubai Trade Centre and Burj Khalifa. See an original image here. Pic. 19 Al Hikma Tower. Pic. 20 View on the South Ridge apartments from Burj Khalifa. Glass reflected a solar beams. Click to enlarge. Pic. 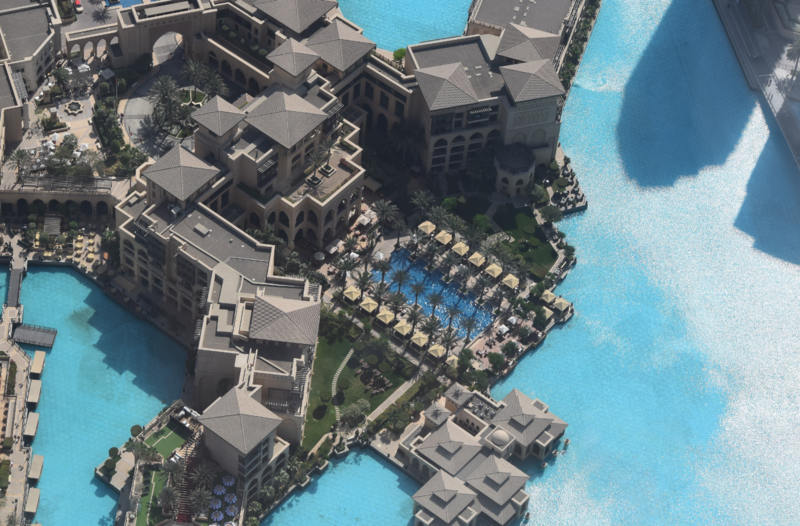 21 Apartments near Burj Khalifa Blvd. Glass reflected a solar beams. Click to enlarge. Pic. 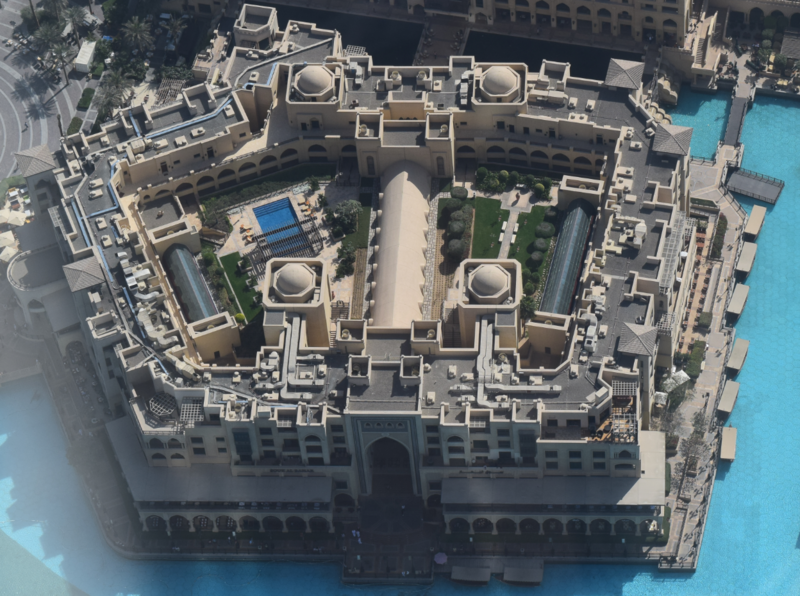 22 The Dubai Palace seen from the top of Burj Khalifa. See an original image here. Pic. 25 The close up view on the Souk Al Bahar, as seen from the Burj Khalifa observation deck. Click to enlarge. Pic. 26 The Emaar downtown seen from the Burj Khalifa. See an original image here. Pic. 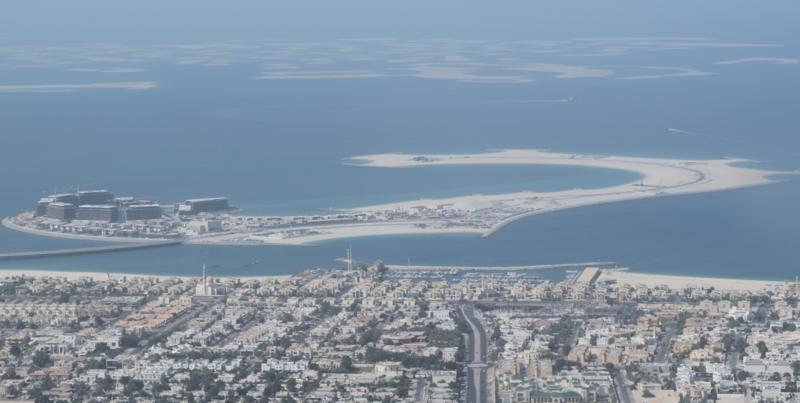 27 View on the Business Bay and Iris Bay from the Burj Khalifa. Click to enlarge. Pic. 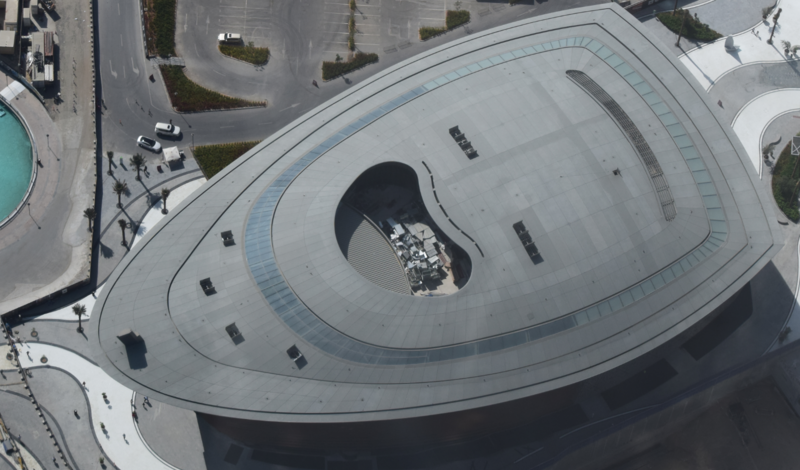 28 Dubai Opera seen from the Burj Khalifa. Click to enlarge. Pic. 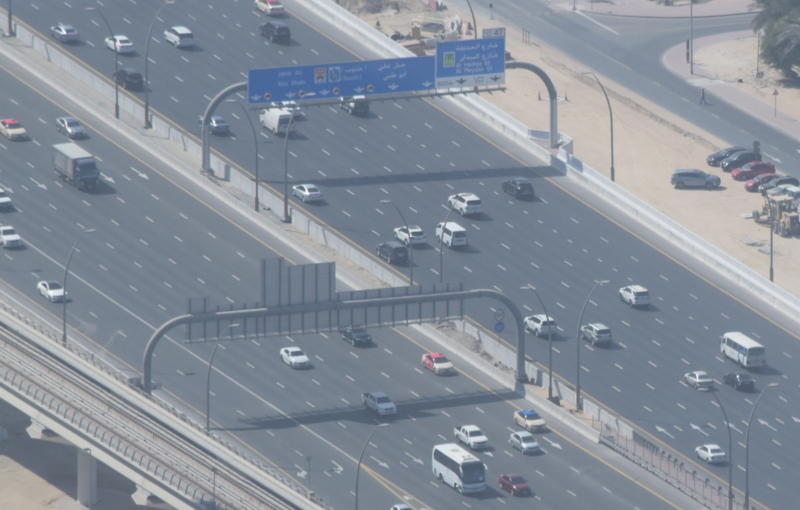 29 The Sheikh Zayed Rd (International motorway) seen from the Burj Khalifa. Click to enlarge. Pic. 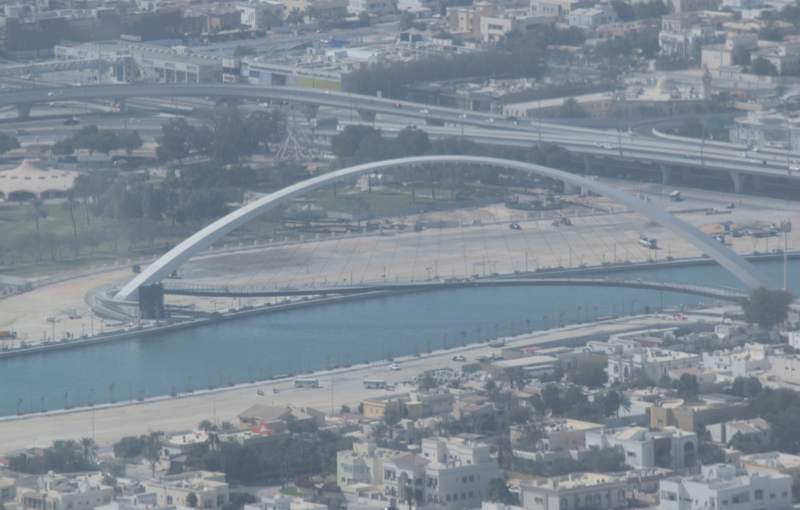 30 The Canalwalk above Dubai Creek and Safa Park seen from the Burj Khalifa. Click to enlarge. Pic. 31 The Dubai Fountains seen from the Burj Khalifa. Click to enlarge. 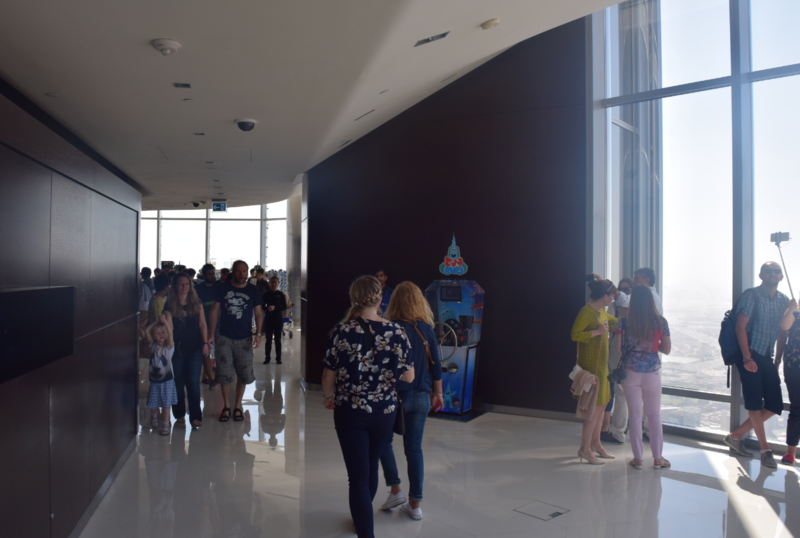 There is at least a few virtual panoramas from Burj Khalifa observation deck, however they are not detailed enough in my opinion, especially for remote vistas. 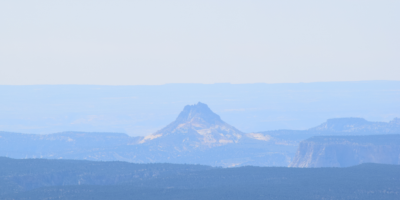 I would like to show you below a long lens photos presenting some interesting places. 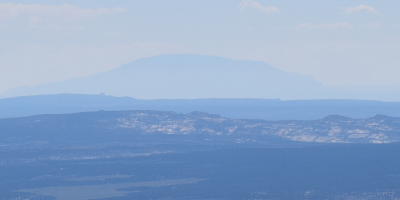 Unfortunately a big dust concentration made these pictures quite faint, although these remote objects remain still visible. Pic. 32 The Dubai International Airport (DXB) seen from the Burj Khalifa observation deck. See an original image here. Pic. 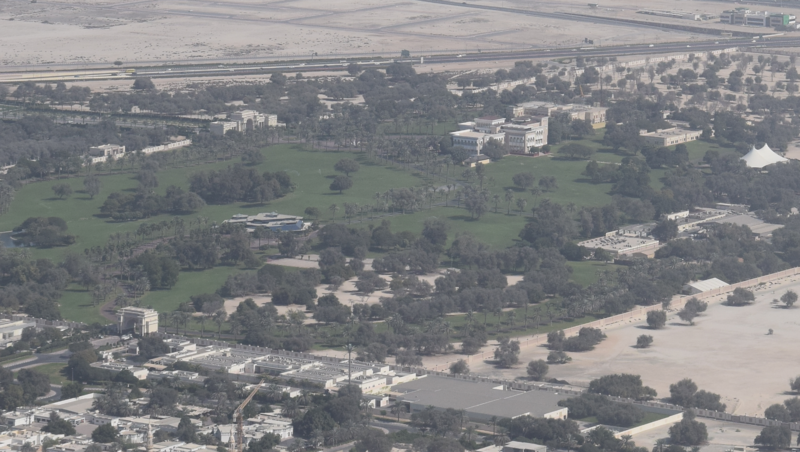 33 Dubai Culture Village seen from the Burj Khalifa. See an original image here. Pic. 34 View on the Za’abel 2 Park from Burj Khalifa. Click to enlarge. Pic. 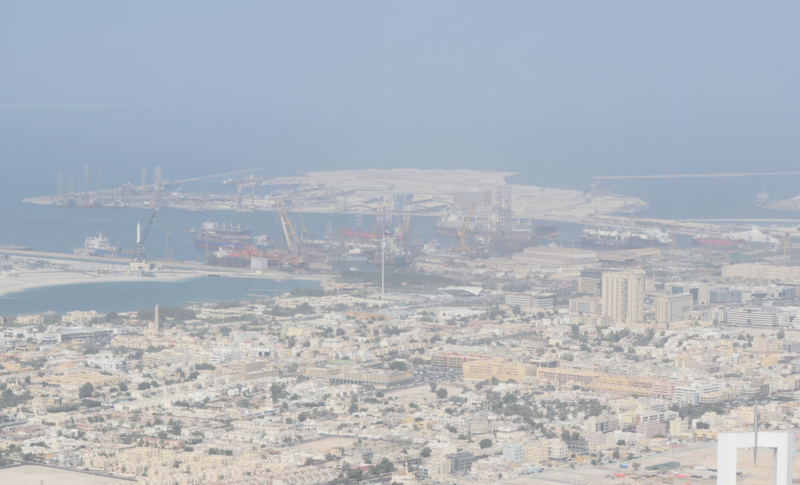 35 Deira Clocktower seen from Burj Khalifa. Click to enlarge. Pic. 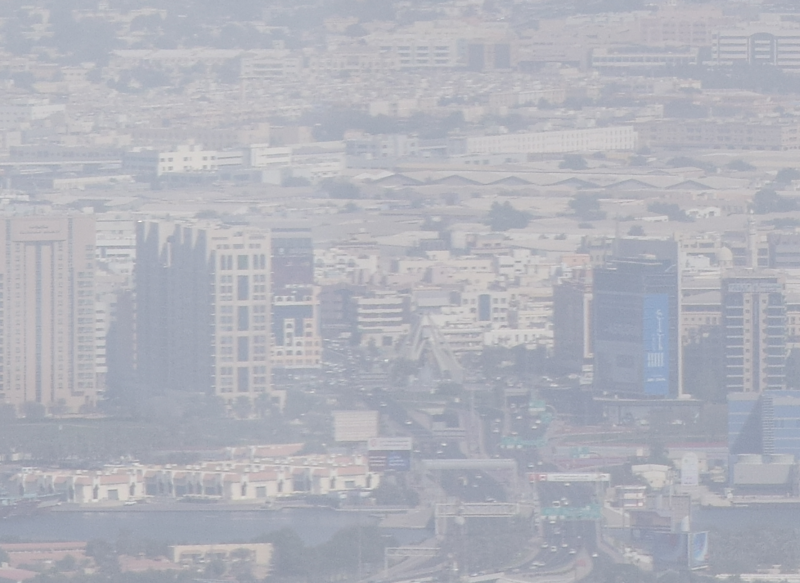 36 Deira and Sharjah seen from the Burj Khalifa. Click to enlarge. Pic. 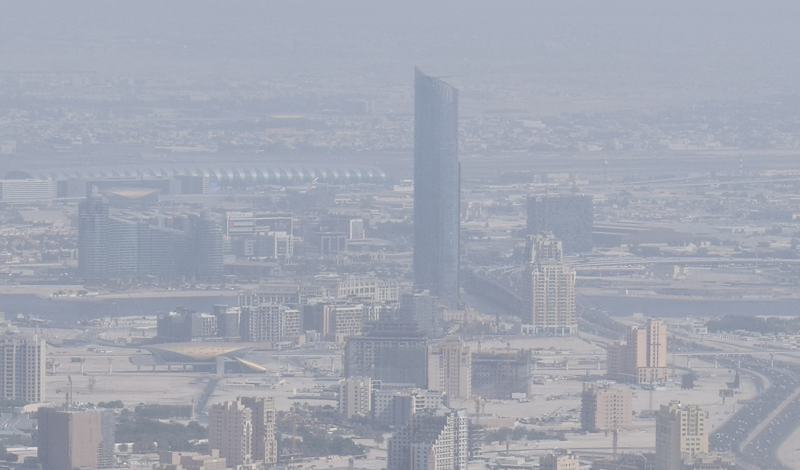 37 View on Dubai Healthcare city from the Burj Khalifa. See an original image here. Pic. 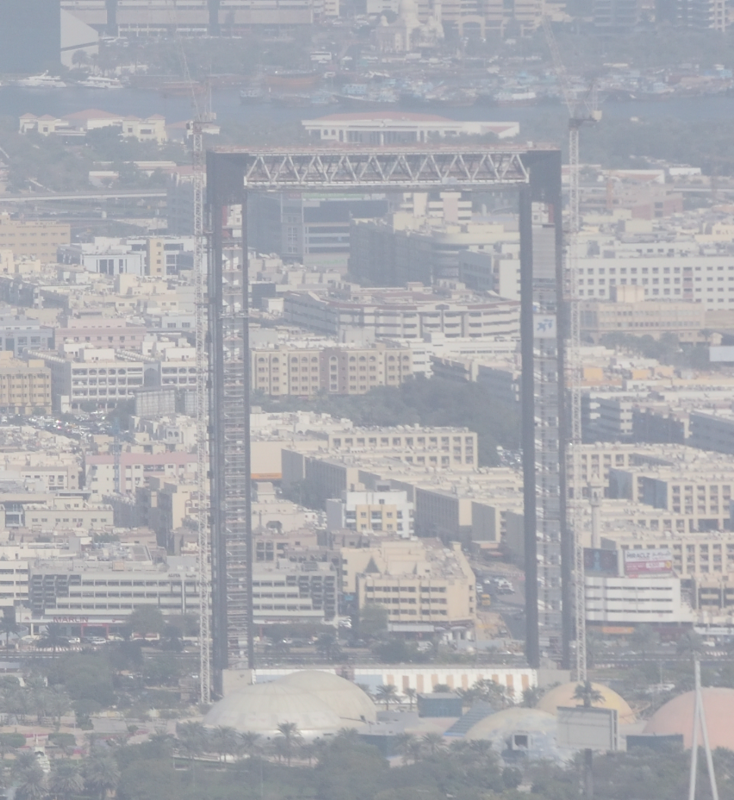 38 The Dubai Frame seen from the Burj Khalifa. Click to enlarge. Pic. 39 View on Dubai Maritime City from the Burj Khalifa. See an original image here. Pic. 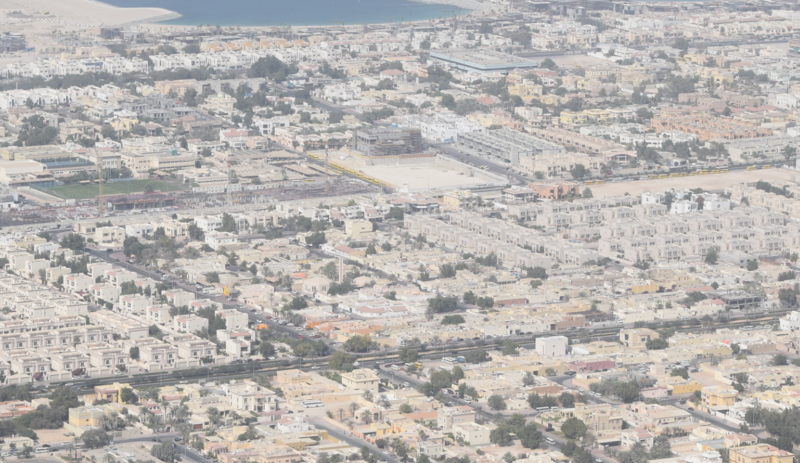 40 View on Al Badaia and Al Satwa from the Burj Khalifa. See an original image here. Pic. 41 View on the Daria Island and The World Islands beyond. See an original image here. Pic. 42 The close up view on The World islands (Europe). Click to enlarge. Pic. 43 The World Islands again. Click to enlarge. Pic. 44 View towards the Dubai Marina and Jumeirah Lake Towers from the Burj Khalifa. See an original image here. Pic. 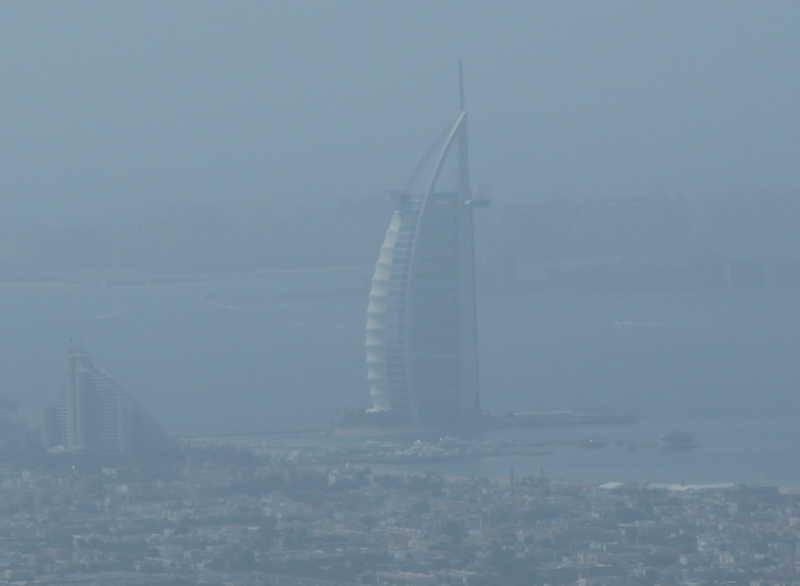 45 Burj Al Arab seen from the Burj Khalifa. See an original image here. 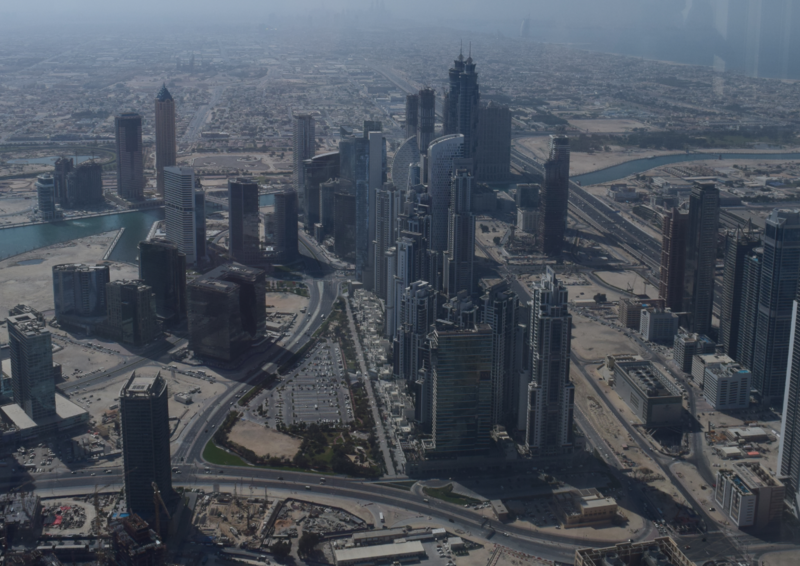 We spent on the Burj Khalifa top deck around 45 minutes and then headed further towards Dubai Downtown. If visibility conditions could be better I would stay there longer. Anyway no longer than 1,5 hour, because our sightseeing plan was tightened. I will say more in the forthcoming article about our whole stop over trip in Dubai. Pic. 46 A queue to the lift at the top of the Shard. 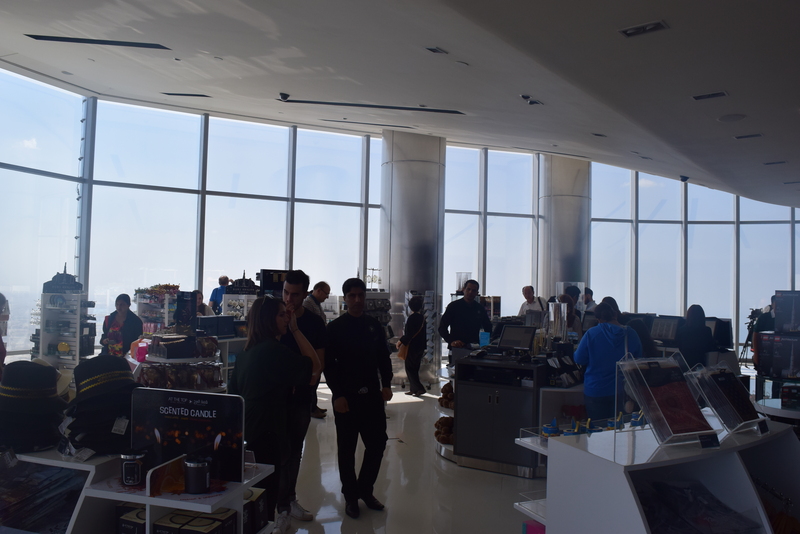 The Burj Khalifa visit included also a coffee on the observation deck, although there was not possible to do it there. We very regretted it, because is probably nothing better than drinking coffee on the top of the highest building in the world. 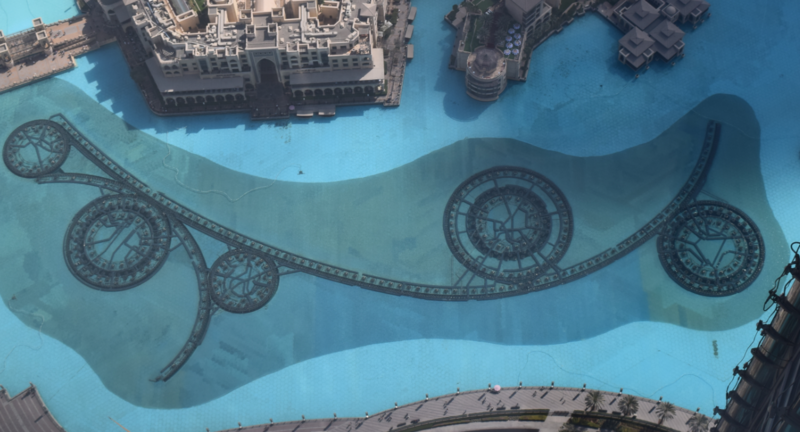 We could do this… just under the Burj Khalifa. Right after leaving the lift we were invited for the coffee with view on the Burj Khalifa fountains. Pic. 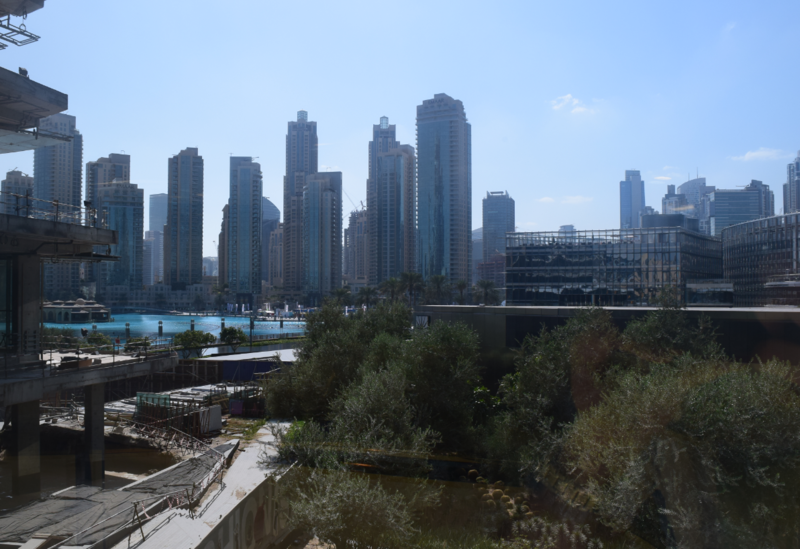 47 View from the cafe on Dubai Fountains with Burj Residence apartments beyond. 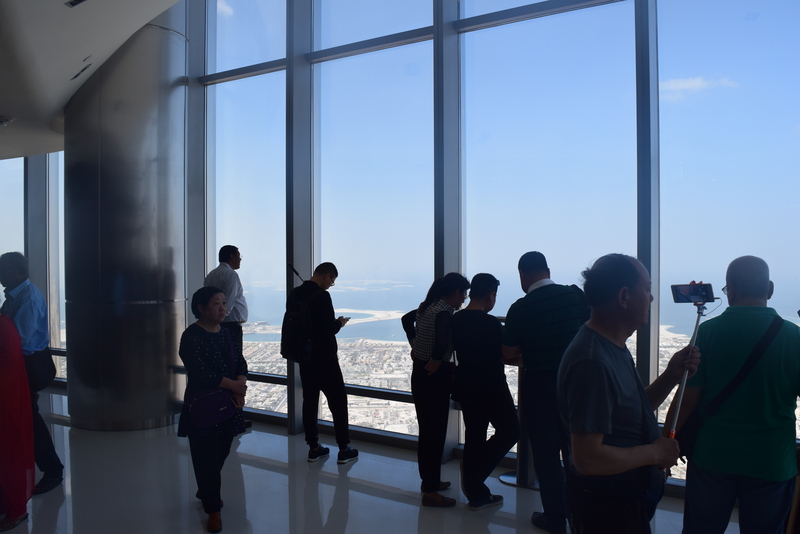 Despite of some inconvenies, that we encountered during our visit I still highly recommend to be on the observation deck of the tallest building in the world. 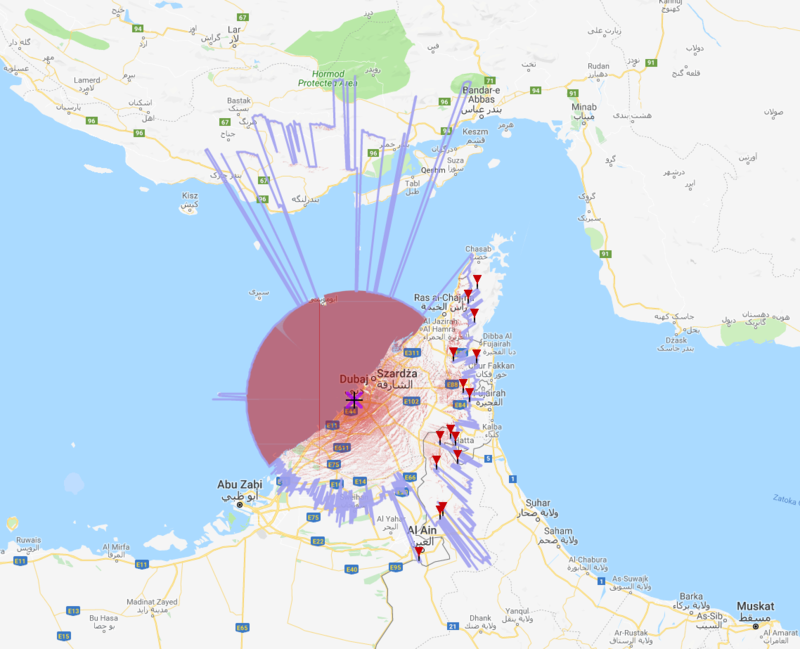 I repeat once again, that the full article about visiting Dubai during stop over will be relased soon. 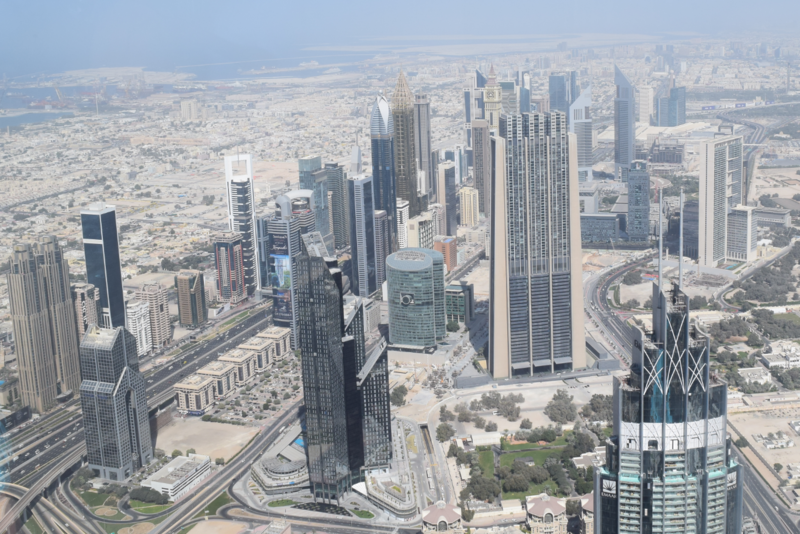 360 deg panorama view from the World tallest building! Seeing two sunsets from the Burj Khalifa on the same day!